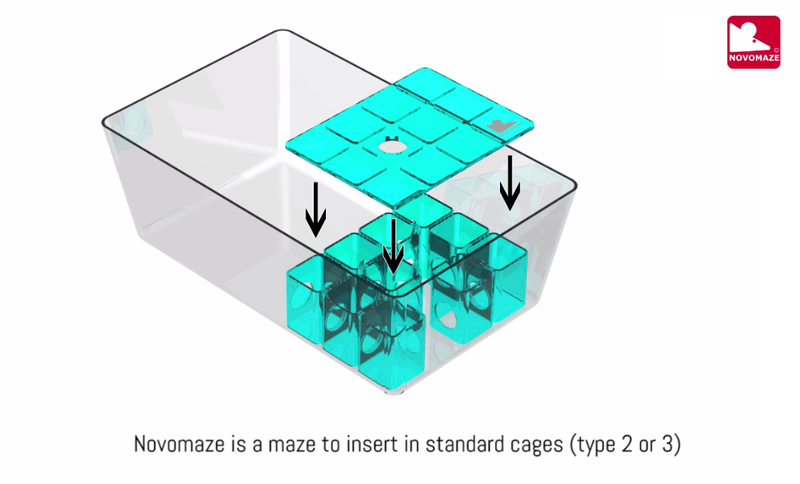 NOVOMAZE is the perfect solution for rodent home cage enrichment. It is simple and efficient in your lab environment. Advanced enrichment solution such as NOVOMAZE is known to reduce stress and aggressivity. As a result, animals are easier to handle as well ! Easy to clean design : just wash it with your cages. Easy to manipulate : catching a mouse is easy since the maze has no floor. The light tinted plastic let you check the animal. Modular : define your maze in 2D or even 3D with a second level. Advanced enrichment for rodents : the mazes are changed when cleaning the cage each week in a random way ; providing a new environment to discover every week. Wellbeing : Available floor space for the animal is doubled. Stress and aggressivity improve. 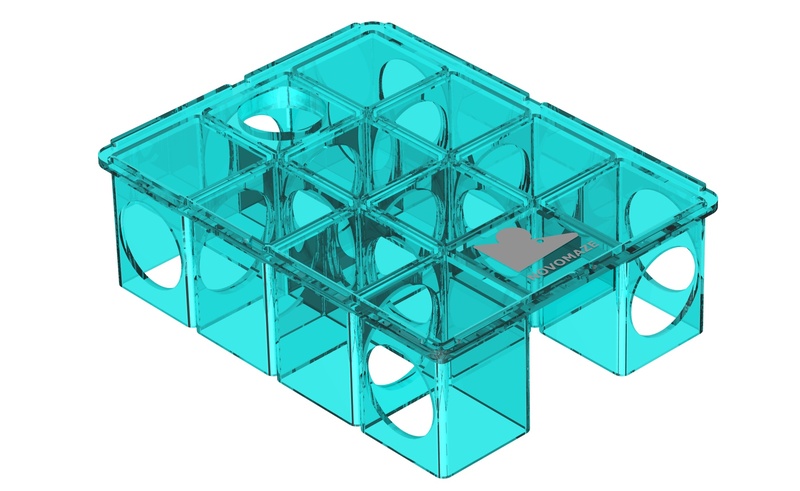 Scalable : use thousands of maze will not increase dramatically the handling costs in your facility. 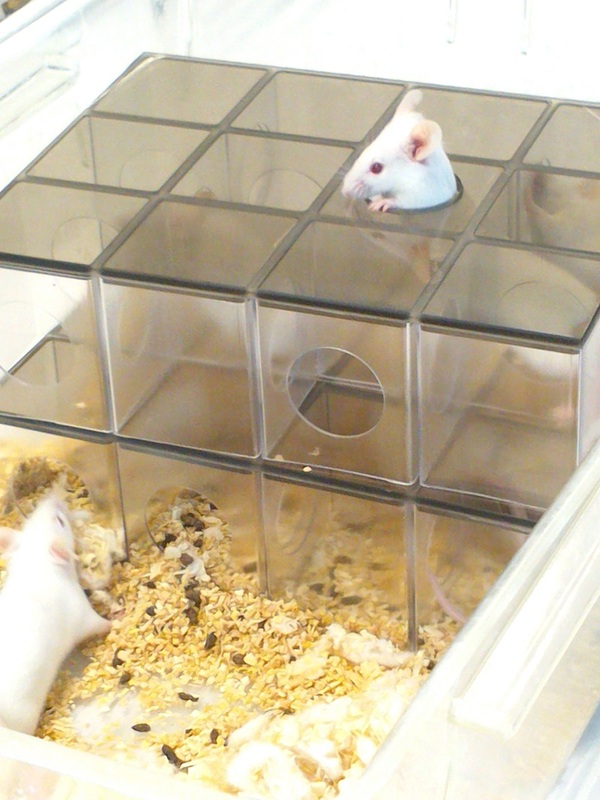 Other advanced enrichment solutions for rodents such as Marlau cage are also available.